Most of the milk today contains a mix of both A1 and A2 proteins which are produced by regular cows that have both A1 and A2 genes. The original cow hundreds of years ago, had only the A2 gene and produced milk only containing the A2 protein. However, due to genetic mutation overtime, many cows today produce milk which also contain the A1 protein. For some people, this A1 protein might cause discomfort such as bloating, cramps, and diarrhea. Recent research indicates that milk which contain only the A2 protein, without the A1 protein, is easier to digest. 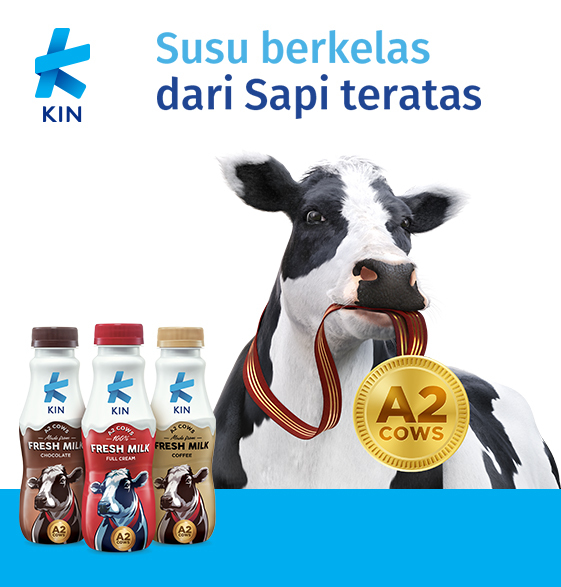 KIN fresh milk is as natural as milk can get. 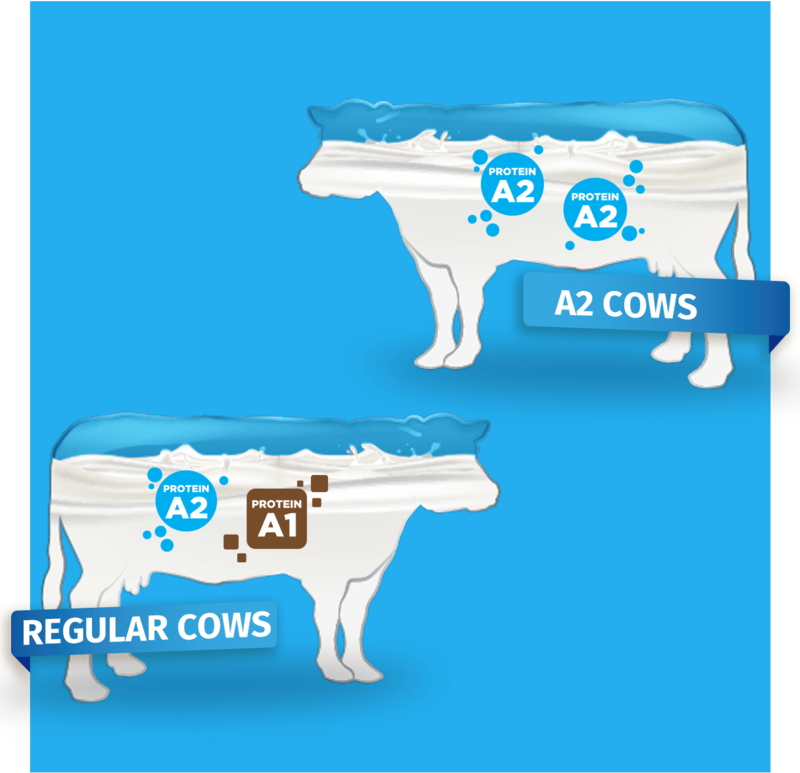 Our A2 cows are not genetically modified and we add nothing and remove nothing away from their milk. We simply pick cows with the best genetics because we believe they produce better milk. You will love our chocolate milk because it has a rich chocolatey taste unlike no other. It's not too sweet, but creamy and smooth, making it simply irresistible. 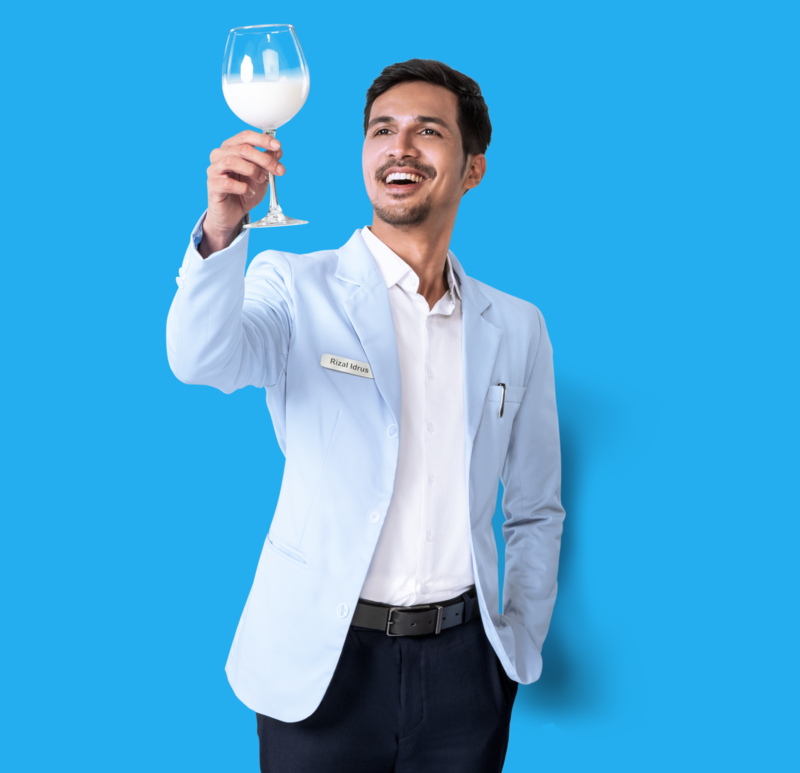 Fresh, smooth and creamy best describes our full cream milk. It contains the A2 protein which is easier to digest for the entire family. If you like your coffee more milky and creamy, then this one's for you. We added a hint of coffee so you can still enjoy the full flavor of our amazing fresh milk.